Feng Guifen spent his career studying how China could learn from the Western "barbarians," his neighbors in 1860's Shanghai. Influenced by Wei Yuan, Feng Guifen believed China's salvation would be achieved through a process of "self-strengthening." Orville and John wrap up the story of Wealth and Power with a few last words. Browse additional content through the links below. 1809 Who was Feng Guifen? Feng Guifen was born to a family of wealthy landowners in Suzhou, the wealthy Chinese city near Shanghai, in 1809. As a young man, Feng excelled at the imperial examinations, passing the local and the provincial exams at a young age. Like Wei Yuan, however, Feng’s progress up the examination ladder stalled at the provincial stage. Following in Wei’s footsteps, his talent came to the attention of Lin Zexu, who added him to his staff. Feng eventually passed the national exams and served as a compiler in Beijing’s Hanlin Academy. Feng Guifen and Wei Yuan, aware of each other through their connection to Lin Zexu, met in Beijing. Although Feng criticized Wei for the quality of his research on foreign powers, Wei was an important influence on the defining concept of Feng’s career, “self-strengthening,” or ziqiang (自强). Feng took Wei’s suggestion of studying the “barbarians” a step further, pushing to have Western military and science taught in Chinese schools. He believed that these marauding foreign powers would have to be studied more deeply, and, as a result, the scope of "techniques and methods" copied from them would have to become much broader than even Wei had allowed himself to imagine. The Second Opium War (1856-1860), also know as the Arrow War, evolved in a similar fashion to the First Opium War, with a small diplomatic conflict escalating into war. Beset internally by the Taiping rebels, China had few resources to spare to defend itself from an outside threat. With the French joining the British, China suffered another humiliating defeat and was forced to sign yet another unequal treaty, the Treaty of Tianjin. For further reading, try this brief history of the opium trade and Opium Wars. Signing of the Treaty of Tianjin. 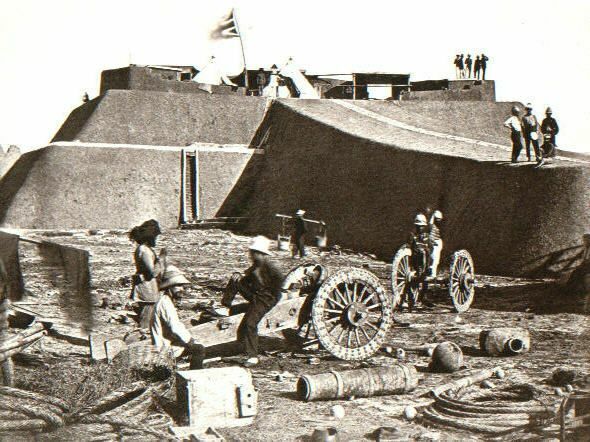 The European allies attempted, and failed, to sack the Dagu Fort, but China’s joy at this victory was short lived. The British and French armies marched straight to the outskirts of Beijing and proceeded to systematically destroy one of the emperor’s most prized possessions, the Garden of Perfect Brightness, or Yuanmingyuan (colloquially, “Summer Palace”). Very few photos of the original Summer Palace remain, but MIT’s Visualizing Culture project has put together a fantastic visual history of the palace. CCTV has produced a full-length documentary reenacting the sacking of the Yuanmingyuan. Watch a preview below, or find the full film (in Chinese) here. During this period, Feng Guifen desperately tried to save his native Suzhou, raising funds and armies for its defense. Failing to hold his hometown, he fled to Shanghai and the safety of its foreign troops. 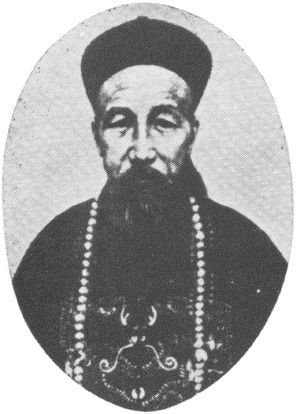 The leader of the Taiping Rebellion, Hong Xiuquan, combined Christian and Confucian doctrine into a unique set of political beliefs. Interestingly, Karl Marx had a lot to say about the Taiping Rebellion. Movement northeast from Guilin to Nanjing by the Taiping armies. Feng arrived in Shanghai in 1860 to escape the Taiping Rebellion, and found there an unexpected resource: intimate contact with the Western world, through foreigners he could interact with first hand. He moved his family to a home in the foreign concessions and began to take notes from his engagement with foreigners. The West, he declared, surpassed China in four critical ways: education (“employing people’s talents”), economic development (“profiting from the land”), political legitimacy (“keeping the rulers and people close”), and intellectual inquiry (“calling things by their true names”). The short book also identified China’s shame as a potential source of motivation for self-strengthening. The volume had some influence on two important Chinese figures at the time, Zeng Guofan and Li Hongzhang, and would also prove an important influence on later reform efforts, as the Qing empire began to crumble at the end of the 19th century. Read Feng’s Dissenting Views (in Chinese) here: part 1 and part 2. "Our territory is eight times that of Russia, ten times the size of America, one hundred times bigger than France, and two hundred times England," he wrote. "Why is it that they are small and strong, yet we are big and weak?" 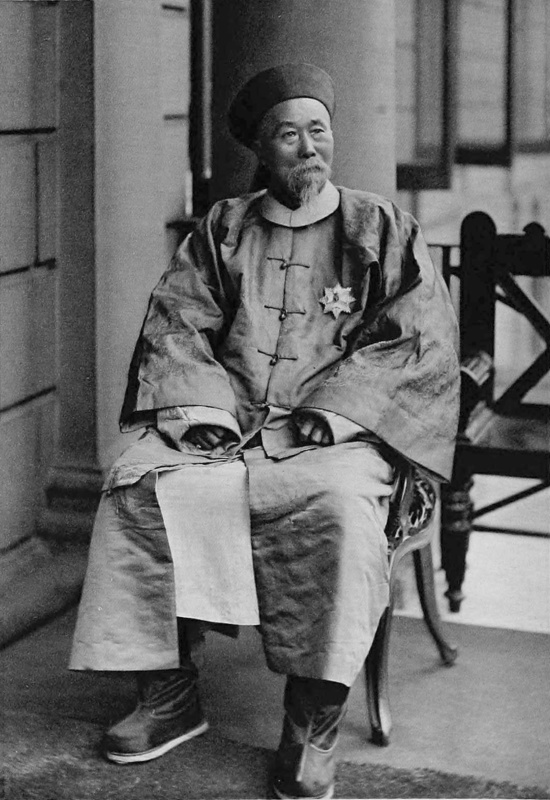 Zeng Guofan (1811 – 1872) was a contemporary of Feng Guifen’s, who, unlike Feng, was able to successfully raise an army to defend his hometown against the Taiping. Feng convinced Zeng to send his top lieutenant, Li Hongzhang, to come to Feng’s aid and liberate Suzhou from the rebels. Zeng was impressed with Feng’s thinking in Dissenting Views from a Hut near Bin, and had the volume distributed to his staff. Through the support of Zeng and Li, Feng’s ideas about self-strengthening began to percolate into the mainstream of Chinese thinking. With the aid of Li Hongzhang (1823-1901), Feng was finally able to take back his hometown of Suzhou from the Taiping Rebels. Li immediately made Feng his top advisor, and began promoting and enacting many of Feng’s ideas on self-strengthening from Dissenting Views from a Hut near Bin. 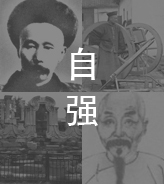 In 1865, following Feng’s guidance, Li also had the first modern arsenals established in Shanghai, Suzhou and Nanjing to manufacture Western munitions. One of Li’s arsenals, just outside the south gate of Nanjing’s old city walls, still stands today as a modern urban housing development known as 1865. These developments supported Feng’s thinking that if China should prioritize studying Western military tactics and technology, which Feng had begun to study through his dealings with foreign generals in the concessions of Shanghai. Are Chinese wisdom and intelligence inferior to those of Westerners? If we have really mastered the Western languages and, in turn, teach one another, then all their clever techniques of steamships and firearms can be gradually and thoroughly learned. Feng’s lobbying was successful in encouraging the spread of such schools around China, but these innovations did not sit well with more conservative thinkers, who weren’t ready to undermine a millennium of Confucian education. Pioneering “overseas students” like Yung Wing, who told his life story in My Life in China and America, often faced an uphill battle when they tried to use their Western learning back home. So when in 1867 advocates of Western learning pushed to expand the math and science curricula, and even add courses in political economy and international law, conservatives decried the move as a craven betrayal of Confucian "rites and morality" in the name of Legalist "power and plotting." Feng passed away in 1874, a high ranking Confucian official in Suzhou. While Feng achieved some success and influence in life, his work was largely overshadowed by his more famous patrons, Lin Zexu, Zeng Guofan and Li Hongzhang. But Feng’s defining moment may have come 24 years after his death, when, during a brief period of reform in 1898, Dissenting Views finally came to the attention of the Qing emperor. The Guangxu Emperor immediately had a thousand copies printed and distributed to his staff, who were asked to study how to put Feng’s proposals into place.